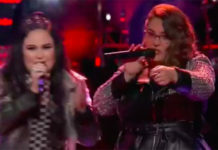 Alisan Porter and Lacy Mandigo from Team Christina sings ‘California Dreamin’ on The Voice Season 10 Battle Rounds, Monday, March 21, 2016. “Lacy, you exercise such control when in beginning. Alisan, started the it became a thunder storm. What a weather system,” said Pharrell Williams. “Lacy, you did a tremendous job. 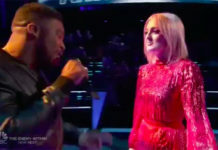 Alisan is ready,” said Adam Levine. 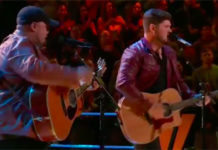 “You are totally two different types of vocalists,” said Blake Shelton. I’m so proud of both of you. You came out here and slayed everybody. Lacy, I saw so much growth on you. Alisan, your talent is undeniably great,” said Christina Aguilera. The winner of this battle is Alisan Porter. Blake Shelton steal Lacy Mandigo. Watch their performance on the video below.